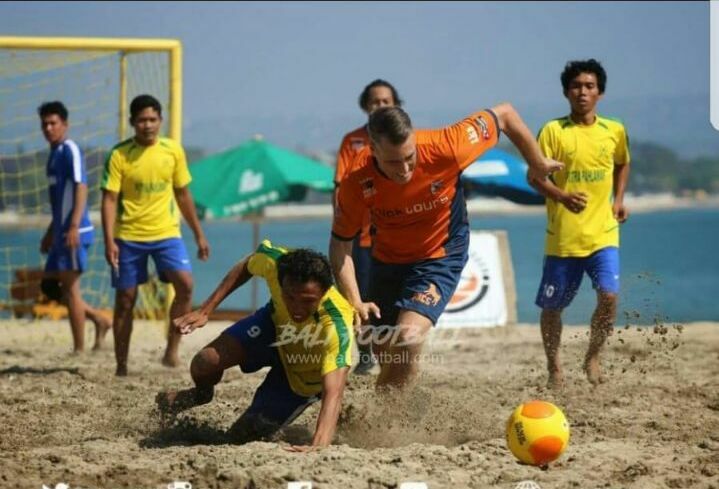 May 18-20 saw the third edition of the Pro-Am Beach Soccer Bali Beach Soccer Competition. 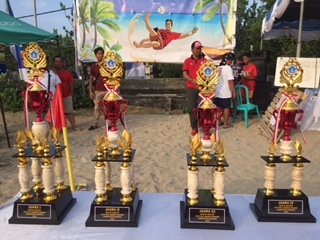 The previous years the event took place on the east coast of Sanur as part of the Bali Beach Games benefiting and organized by the Bali Sports Foundation. 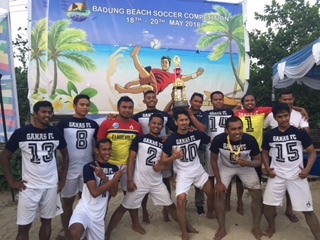 The change in venue came with the introduction and sponsoring of the event by the Badung Regency and Badung Football & Beach Soccer Associations. 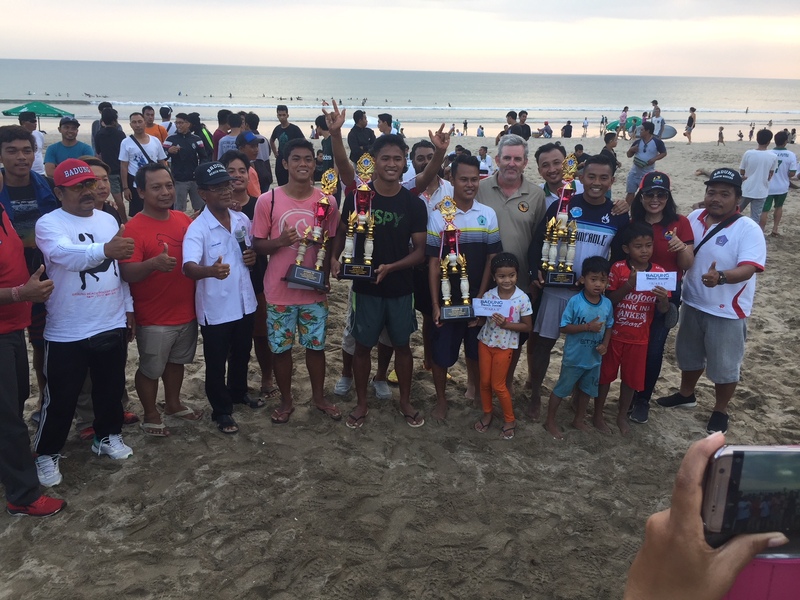 They brought the tournament to the heart of Kuta. This bustling tourist area known as Australia’s Cancun was a lively change. The buzz in the area immediately brought a different energy from our past events in Bali. The pitch fit along a traditional wall with groves of palm trees behind each goal. The trees catered to a majority of fans shielding themselves from the heat blazing throughout the days of competition. 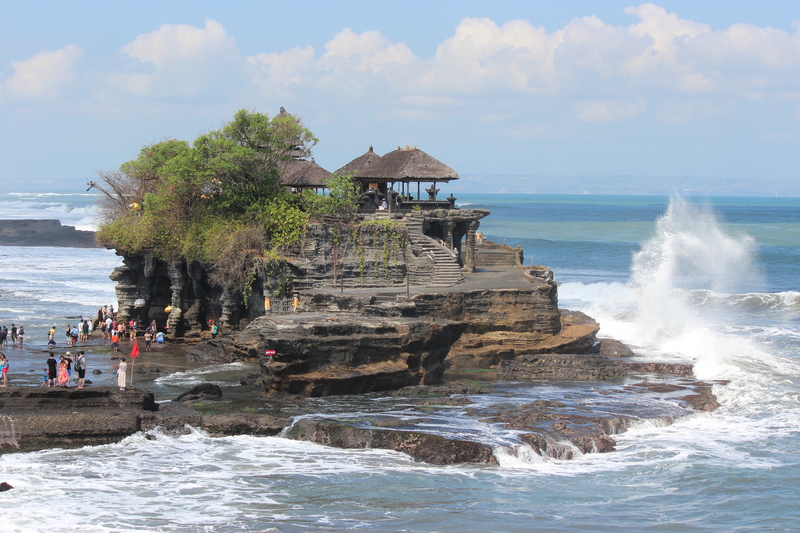 Standing at a half field you could look east out in the distance to the airport and the beyond mountains while your neck turning to the west your eyes pear towards the high-class Seminyak area and the rest of the coast towards the famous temple on the ocean, Tanah Lot. 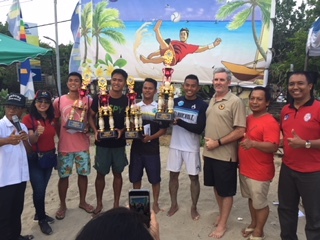 Over the past two years, we had explored all the edges of the southern shores of the Balinese coast seeking another site to have the beach soccer event. We found very few choices on the island, but one was in Badung. Our first meeting with Pak Graha Wicaksana and the Badung F.A., we were delighted to not only find people open to it but excited to move on it. Pak Nyoman Sarjana, who was not in attendance at the meeting, then called us for a meeting the following day. 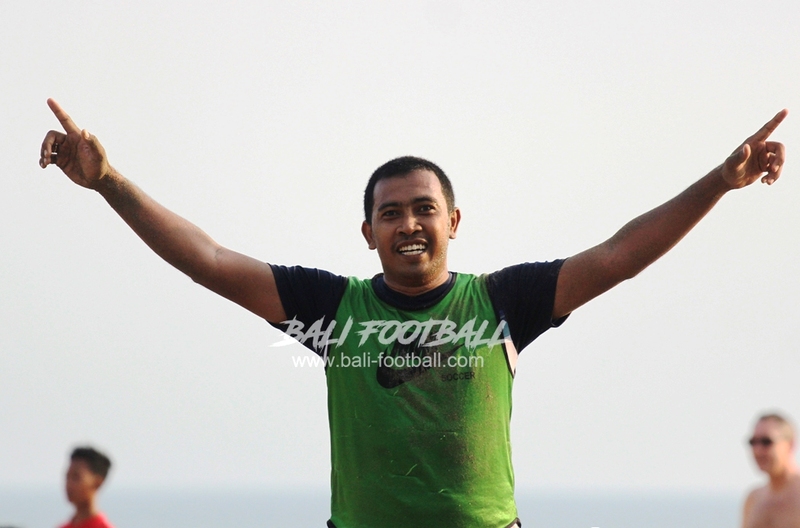 Pak Nyoman, head of the beach soccer association, expressed how excited he was to get moving on the 2018 event. 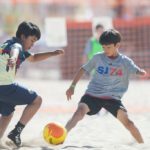 As the whistle blew late Friday afternoon the first match started and the 2018 games began. 10 teams, 24 matches, 170 goals, 3 matches to overtime, including both the consolation and final, yet none resulted in shots from the mark. The point lost in the other overtime winner kept Segara FC from the tiebreaker seen in their division eliminating their chance at the semi-finals. We had not expected world-class quality play due to the timeline once the budget was finally approved. Whether teams could not organize their finances in only a 3-4 month lead time, or the schedule falling into the beginning of Ramadan, teams from abroad were unable to attend. 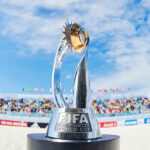 Although the interest was very high and wide across five continents with teams having a try at attending this year’s event in paradise. The tournament caught most off guard at how well it went. The opening games showed a lot of adjusting but quality glimpses and exciting goals were present and giving insight into what was to come. 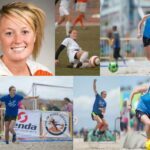 Many players would really show their talent as the event would continue. The first goal came early from well inside their own half and the laser was buried without bounce into the lower side netting. Luckily at the time, my vantage point was angled from behind the ball with a straight look at that corner. It was a sublime strike of world-class quality. At that moment, perception adjusted as we evaluated all games more wide-eyed. which tried desperately to break the lower net was something shocking and unexpected. He and his team now set a tone for all other teams to try and follow and you knew all teams would rise in the following matches. 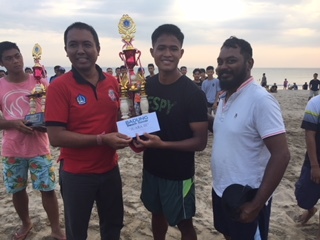 METRAJAYA went from scoring the first goal to sharing the Golden Boot and earning the MVP of the tournament working on defense early and moving up front late in the tournament. The first games Saturday morning marked the end of the first round for all teams. Ironically the seeding for the 8am game saw Ganas FC being the first team to have a second match against Putra Pahlawan. Going into the event it was known PP had talented players who have played in our previous events. So, after watching Ganas FC score 8 goals and play a tactical exercise against Bali Pug the night before we knew we might be witnessing a preview of the final. 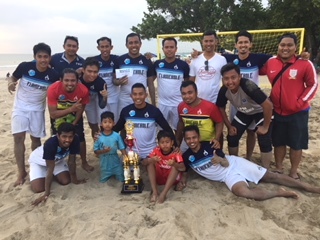 The opening goal Saturday morning was scored by the MVP of the 2015 tournament in Sanur. The ball was out on the flank with isolation and the man on the ball was able to lift one in the path of Eddie Ronaldo, who caught the ball with an overhead bike, burying it into the upper corner. 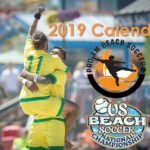 It may have been just after 8am in the morning but the beach lit up with excitement with those who were able to see this other example of world-class showmanship. 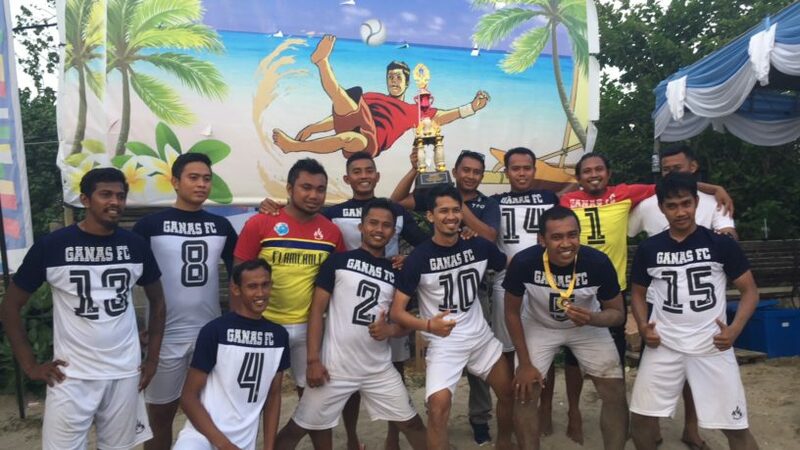 The game ended a 4-3 thriller with Ganas FC slipping in a winner late in a tight contest. Final game did not see Putra Pahlawan as they ended up facing the two finalists in their first two games slipping again 4-3 to eventual finalist Tanjung in a game which was unfortunately influenced by inconsistencies, as the level of play, was beyond the capacity of the officials for the match. 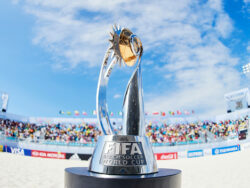 But, it showed the quality of a large group of players who knew how and could play beach soccer. It showed there is quite a bit of world-class potential in Bali. The final saw a back and forth affair. Tanjung losing the first game of the competition really raised their level with each game. This helped as they played staunch defense throughout the final with the post and crossbar helping on a few occasions. That being said they clearly had chances to put Ganas FC away. But, it wasn’t finished and the game ended in regulation drawn at 2 goals apiece. As we prepared for the inevitable kick’s from the spot following the 3 minute overtime the service from the keeper found METRAJAYA posting up with seconds left. He jumped with the opposition and knocked it down to the side of the feet of the keeper who could not adjust to get down to it. It took a bounce over the line and the jubilation was ecstatic! 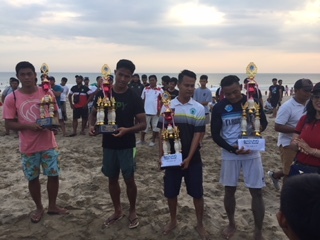 Seconds after Tanjung’s final attempt from kickoff the whistle closing the event was blown giving Ganas FC the title and prize money for the 2018 Final. The opening strike for his team and the final goal by METRAJAYA is why he was the clear MVP of the competition. Media coverage was tremendous throughout the event. The news conference sponsored by Best Western International Kuta Beach had nearly 40 people in attendance. 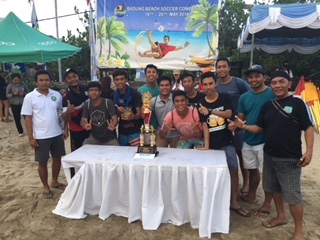 Multiple media outlets covered the games interviewing those who took part in this sports tourism creation in the Balinese hotspot. The vibe amongst the entire community was very electric as everyone was already speaking of 2019. After the eruption of Mount Agung last year Bali has seen their tourism drop 20%. This event invigorated the entire community especially after the Dragon boat race they hosted the weekend before. They want people to know the island hasn’t changed and its amazing people are ready to greet you and show you the time of your life. This gives everyone a year to sort out their finances and prepare for a rumble in the tropical island of Bali. Where it might be expensive to get to from some corners of the world, but once you are there your after game massage will be less than $10.00 USD. The drive of Pak Nyoman Sarjana and Pak Graha Wicaksana to create events to expose Bali as a sports tourism destination is working. Their efforts have seen a confirmation of the event to take place next year from April 28 – May 4th and will feature a $300 million Rupiah Purse ($20,000.00 USD). 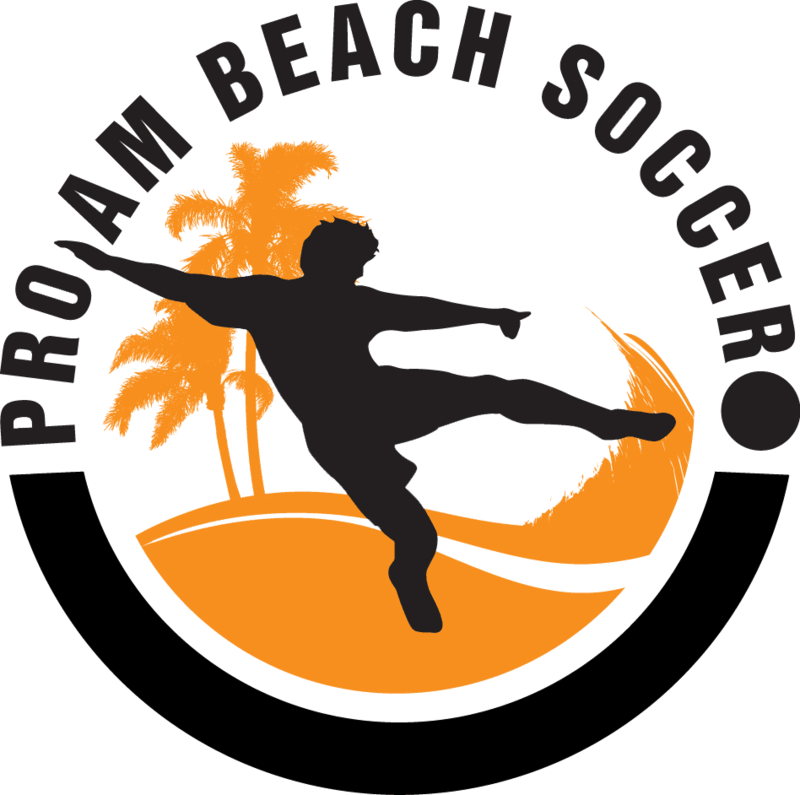 Start packing your bags and contact: sginfo@proambeachsoccer.net. 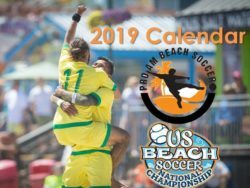 Pro-Am Beach Soccer Presents the 2019 Bali Badung Beach Soccer Competition sponsored by the Badung Regency & Badung Beach Soccer Association.